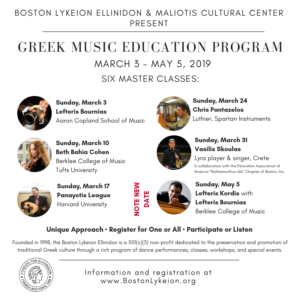 The Boston Lykeion Ellinidon is thrilled to announce our partnership with the Maliotis Cultural Center on this spring’s Greek Music Education Program. A reflection of our shared mission to advance understanding and appreciation of Greek culture, this year’s program features an all-star lineup of musicians with a wide range of expertise. 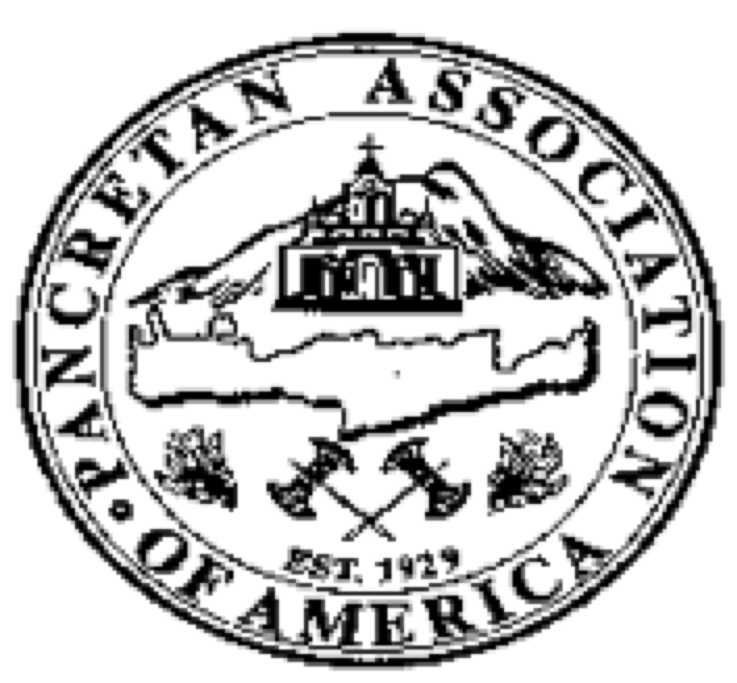 Our unique approach offers both instruction and the opportunity to participate, on an instrument of choice, in learning about a variety of topics from Greek music. The spring 2019 course will meet on six Sunday afternoons between March 3rd and May 5th for 2.5 hours per session. 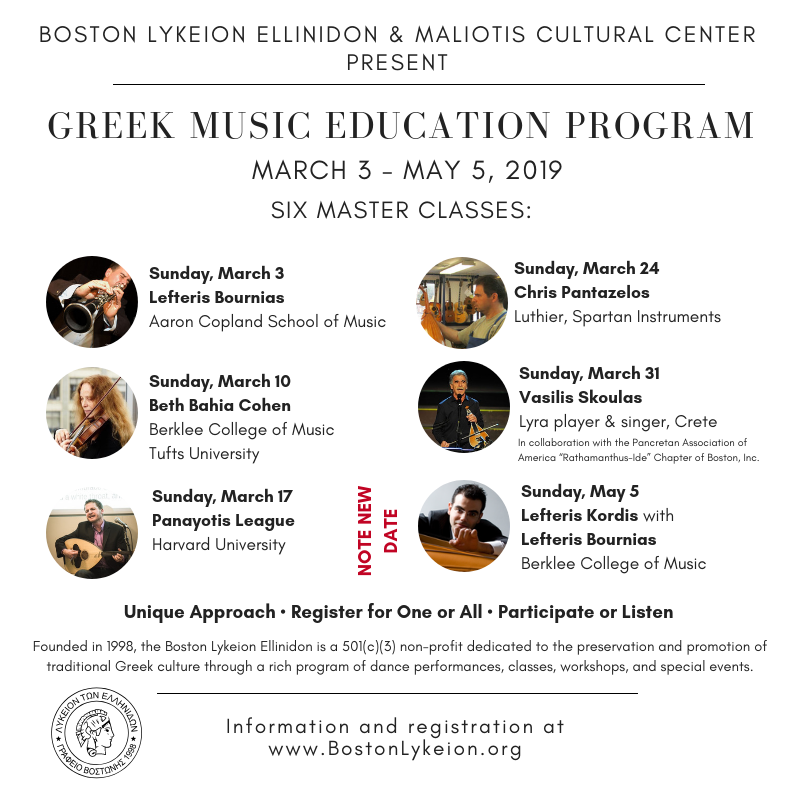 Each session will have a different instructor, and focus on a particular aspect or regional tradition, ranging from Asia Minor and Aegean clarinet improvisation to musical concepts of Ancient Greece. At their discretion, instructors will determine the level of participation in the session; participants may engage by listening, participating in the rhythmic element, singing, or playing their instrument. 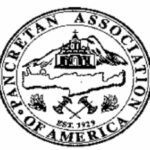 We are also grateful for our collaboration with the Pancretan Association of America “Rathamanthus-Ide” Chapter of Boston, Inc. on the March 31st session presented by Vasilis Skoulas. For more information and to register, visit our Music Education Program page or view the sessions on our Events page.